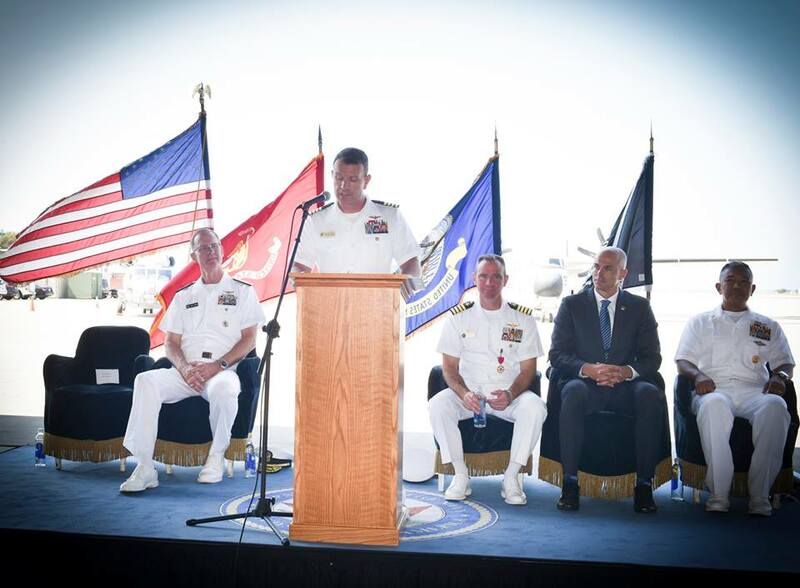 Captain Tim “Timmay” Slentz assumed command of Naval Base Coronado (NBC) last August, a position that is often referred to as the Navy’s “Mayor” of Coronado. Naval Base Coronado is home to eight installations including Naval Air Station North Island and the Naval Amphibious Base, both located in Coronado. NBC is the home base for many operational commands including Helicopter Squadrons, Aircraft Carriers, Navy SEALs, Navy EOD and numerous others. As commanding officer of NBC, Slentz ensures those operational tenant commands can focus on mission execution while he overseas the base requirements that support those missions. “My job is to ensure the base is able to support the missions of the various tenant commands by providing facilities (training ranges, airfields, piers and quays, fitness centers, galleys, barracks, buildings, etc.) and infrastructure so they can deploy and project naval power,” he said. “Most important to that is to provide the security forces who protect our base and our people. It is an amazing job.” He is responsible for a security force, fire department, as well as managing environmental concerns and community relations. His installations are home to more than 35,000 Sailors and Civilians, and two aircraft carriers. 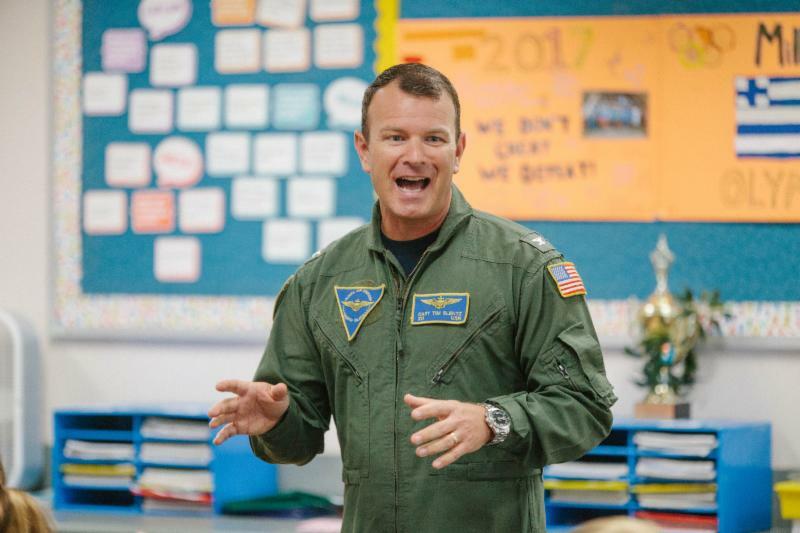 CAPT Slentz grew up in Dayton, Ohio, known as the birthplace of aviation, so it is fitting that he now commands Naval Air Station North Island, the birthplace of Naval Aviation. Dayton is home to the Wright brothers who, prior to their first flight on the beach of KittyHawk North Carolina, laid the groundwork for the first manned aircraft in Dayton. Dayton is also home to the National Aviation Hall of Fame and the Dayton Air Show. As a child, Slentz was inspired by the Blue Angels, planting the seed for a future career in Naval Aviation. Slentz graduated from The University of Notre Dame where he earned a NROTC scholarship and his commission in May 1993. 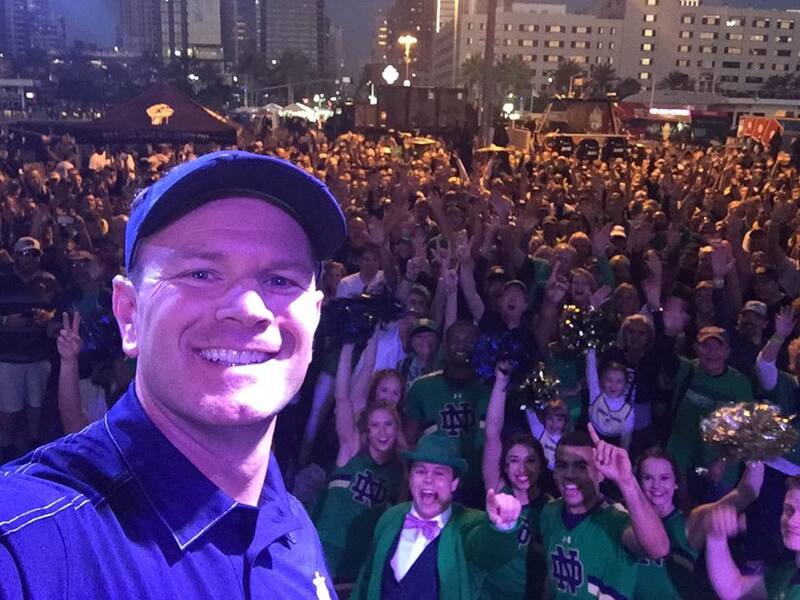 CAPT Slentz addressing the Notre Dame fans at the pep rally prior to the Navy-Notre Dame Game. Photo Courtesy of CAPT Slentz. While at Notre Dame, Slentz met his wife Christina, who also served five years as an Intel Officer in the Navy before joining the Navy Reserves. They have three children, ages 18, 16 and 12, that are actively involved in Coronado schools. 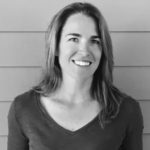 They enjoy being part of such a close knit community, biking around town and frequenting the summer concerts in the park. 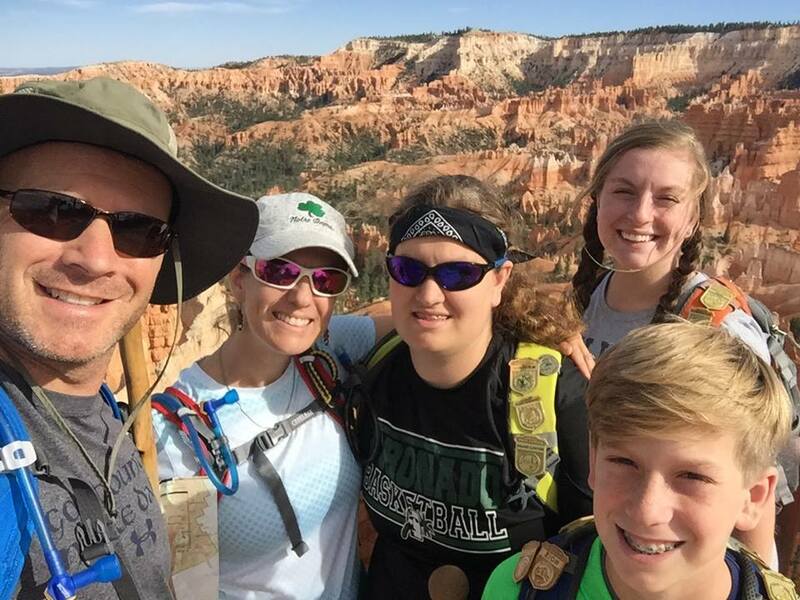 The Slentz family in Bryce Canyon. Photo Courtesy of CAPT Slentz. CAPT Slentz has a strong relationship with Coronado schools. Here he addresses students at Take a Vet to School Day. Slentz began his career in the Navy as an E2-C Hawkeye Pilot, accumulating over 4,300 flight hours and 440 carrier-arrested landings. He served as the Commanding Officer of Carrier Airborne Early Warning Squadron 121, the Bluetails, from September 2011 to January 2013. 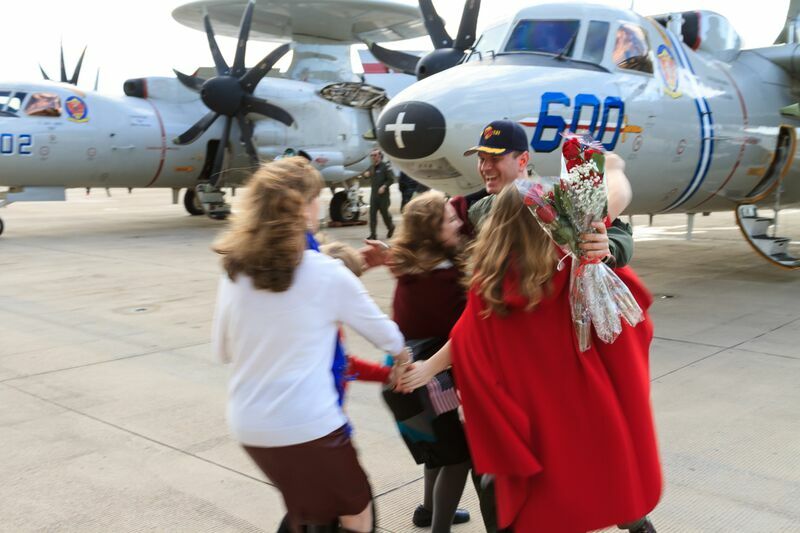 During his time in command, VAW-121 earned both the 2012 Battle “E” and the RADM Fred Akers Award in recognition for being the premier VAW squadron in the Navy. After completing his command tour, he selected for major command ashore and was assigned to Naval Base Coronado. He worked as the executive officer under CAPT Scott Mulvehill, and has now been in command for six months. Slentz was surprised by how much time is spent concerning environmental protection for his bases. 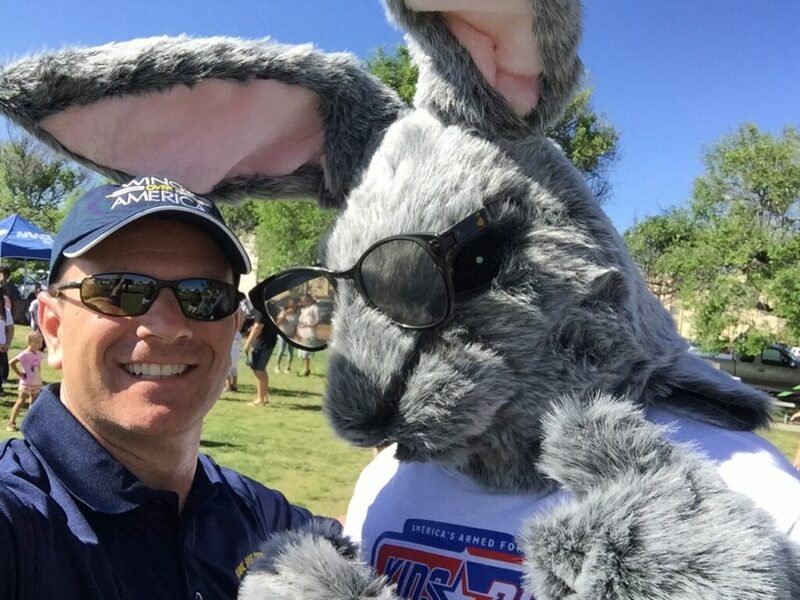 He has gained an understanding and appreciation for the requirement, and his staff works closely with Fish and Wildlife to ensure the programs Naval Base Coronado has established supports the environment and resident wildlife species. San Clemente Island is also under his command and is unique in that it supports live weapons training from aircraft, ships and ground personnel, while protecting 21 threatened and endangered species. Along with all the operational expertise he has on staff, he also has a botanist, ornithologist, archaeologist and arborist whose responsibilities include monitoring and protection of wildlife.